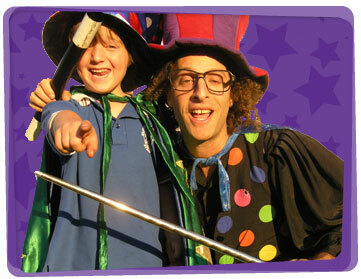 Your mind will be opened to a world full of astounding wonder when a Yabadoo magician hosts at your next kids party in Newcastle. Our expert magicians for hire in Newcastle perform an entertaining interactive magic show using plenty of audience participation while astonishing everyone with feats of illusion, sleight of hand, misdirection and disappearance. They will also captivate with games, spectacular balloon twisting, a treasure hunt, face painting, temporary tattoos, comedy props and much more! To make sure your birthday child is aware they’re special; they’ll be fashioned a special modelled balloon birthday prize in the course of the magic show. Let Yabadoo customise an entertainment package for you! 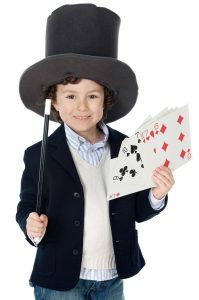 A few of the many diverse events and places our magicians for hire in Newcastle regularly attend range from kids parties and preschools to roving events and Christmas parties. 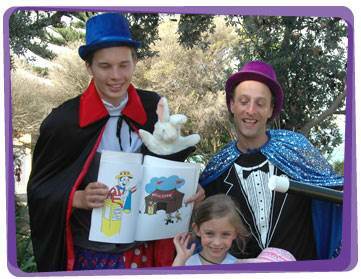 All you need for this magician party game idea are a group of kids and 2 stuffed bunnies! It’s a good game to play whilst your entertainer is still on the way. Split the group into two teams and have them stand in a single-file line. The players who are first in line for both teams are given one stuffed toy bunny each. The first player gives the stuffed bunny to the second player by passing it over his/her head. The second player gets the stuffed bunny and passes it between his/her legs. Continue the over-under pattern until the stuffed bunny reaches the last player in line. When the last player has the stuffed bunny, he/she runs as fast as he/she can towards the start of the line and becomes the first player in line. The team who shouts first is the winner! Bring the magic to your party with this magician party decoration idea! 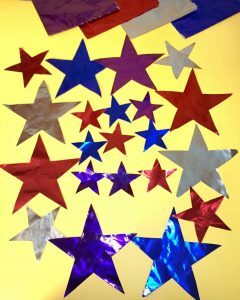 Cut out stars out of foil paper. Paste it on your wall, curtains, or even on the tablecloths.You can also paste it on a carboard box. Punch a hole on the top part, insert a yarn or thread, then hang it from the ceiling. Your party will have “magic” all around!